After the recent earthquakes in Umbria, many visitors have cancelled their trips and shunned the region altogether. This is a shame because Umbria is still safe and very much welcoming of your visit. In fact, most towns in the region only had minor damages. 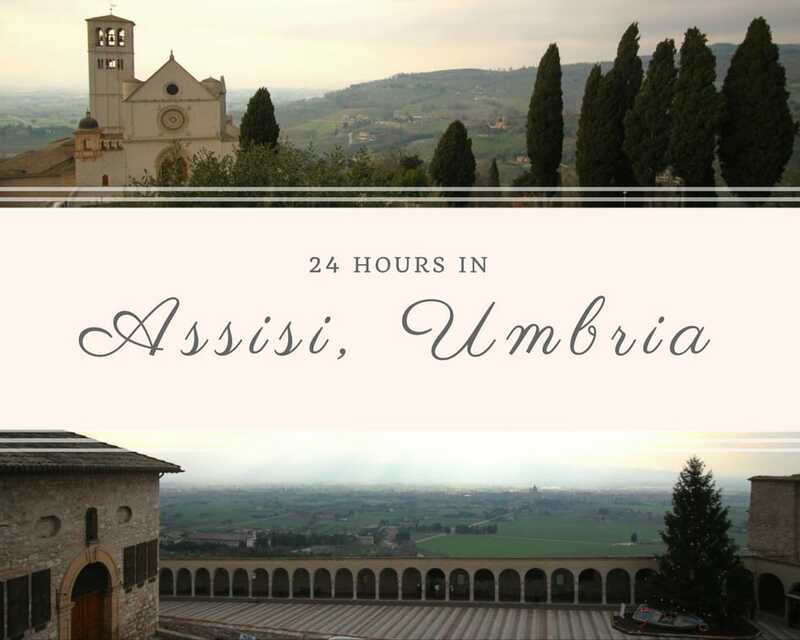 Assisi, a town in Umbria, is located 90 miles north of Rome. It is rich in art and history, and most famous for Saint Francis, Italy's patron saint. Saint Francis was born here in 1182 AD, to a wealthy merchant family. After going to war against the Perugians, he decided to completely switch up the path for his life and got rid of all material posessions so he could live in poverty. He then gained a following and tried to spread the Franciscan order around the world before returning to Assisi to prepare for death in 1226 AD. Clearly, with so much talk of Saint Francis, I wanted to visit the Basilica Papale di San Francesco D’Assisi before anything else. This basilica is separated into two parts - the upper basilica and the lower. Construction on the lower basilica began in 1228, whereas construction on the upper basilica began in 1239 and ended in 1253 AD. The lower basilica holds the remains of Saint Francis. Just outside the basilica stood a wooden boat which rested against a large Christmas tree. This exact boat, in fact, held refugees at one point. It is now displayed as a symbol of the migrant crisis and how humans must to be more caring and accepting towards those in need. During WWII, the city provided safety for many Jews by hiding them in convents. Jewish people were provided with false documents and nuns and friars' clothing. In 2000, UNESCO declared Franciscan buildings in Assisi to be a World Heritage Site. Later in the day, I visited the Tempio di Minerva, an ancient amphitheatre dedicated to the goddess Minerva. As the day neared the end, we hiked to the Rocca Maggiore, an ancient fortress overlooking the villages below. It dates back to the early middle ages, and even though it was destroyed in 1200 AD, it was rebuilt by Cardinal Albornoz in 1356. Even though it was a little foggy, the views from the top were still incredible. ​When the sun set, the weather became unbearable for me (native Floridian here) so we headed to a cozy restaurant in which I ate some pizza and drank some red wine, before crashing back at the B&B. The combination of the lodging, 3 meals, and train ticket totaled less than 50 euros! If Saint Francis isn't enough of a reason to visit Assisi, surely the peaceful vibes, the panoramic views, and the fresh food will convince you. While staying a full 24 hours here wasn't particulary necessary, I highly reccomend it. In the evening, many tourists have gone home, so it is possible see and enjoy Assisi all to yourself. If you want to see more posts like this, subscribe here! I love Italy and especially Tuscany, Umbria and le Marche areas! I have always wanted to go to the Marche region. Have you been? Beautiful photos! Unfortunately there has been quite a few earthquakes lately around the world! Great post! Really easy to read. Thank you for the lovely comment, Brittany. Far too many earthquakes. There was just one the other day here in Rome, as a matter of fact. I love history ... and this town looks lovely! Any recommended hotels for spending the night? Also, how is the vibe of the town ... easy and laid back or bustling and touristy? It's a pretty laid back town. Very quiet (almost eerily quiet at night), mostly older locals. As for hotels... It's actually a bed and breakfast but I stayed at I Colori di Assisi (found it on booking.com) and it was quite nice. The family that owned the place was kind. The breakfast in the morning was from the cafe next door - typical Italian breakfast of orange juice, coffee, and a pastry. Oh my goodness that is so very beautiful. I just love the history of that region. There is so much to explore. It's so true. There are so many beautiful little villages that I'd like to see. It's disheartening to see that people wouldn't go to Umbria because of the earthquake. I think it's all the more reason to go so as to help the local economy. Still, it's their loss and kudos to you for bringing the beautiful region under the spotlight. It's beautiful to see all the architecture and I'm sure the Italian hospitality flows through the people here making it a one of a kind place. Assisi looks like a beautiful historic town. It must be having many stories to tell. I had heard of St Francis of Assisi but never knew where Assisi was. I would love to visit when I go to Rome again. Unfortunately, Italy is having lots and lots of earthquakes lately. I don't think they will be stopping any time soon. I've been feeling them in Rome about once a month, or so, since August. Nonetheless, Italy is still a wonderful place to visit right now. I hope you have a great trip! Umbria is so gorgeous. Its great that the earthquake didn't destroy the area. That would have been such a big loss. Those views are breathtaking. It's really sad to see that people have totally been avoiding Umbria in total just because of one little village that was destroyed. It's too beautiful to miss! That earthquake was indeed devastating. However, I don't see any reason to stop visiting it. It is still just as beautiful, as your photos exhibit! That's so true! It's sad to see that people have totally been avoiding Umbria in total just because of one little village that was destroyed. It's too beautiful to miss! I love visiting small towns since there's just as much history and interesting culture that you can find outside of the main cities. 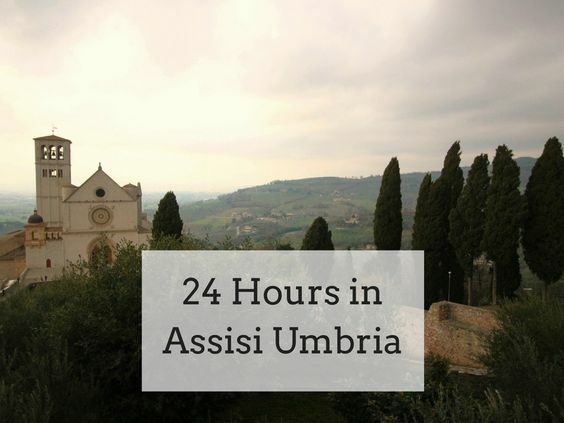 You sure saw quite a bit in Assisi, Umbria in just 24 hours. 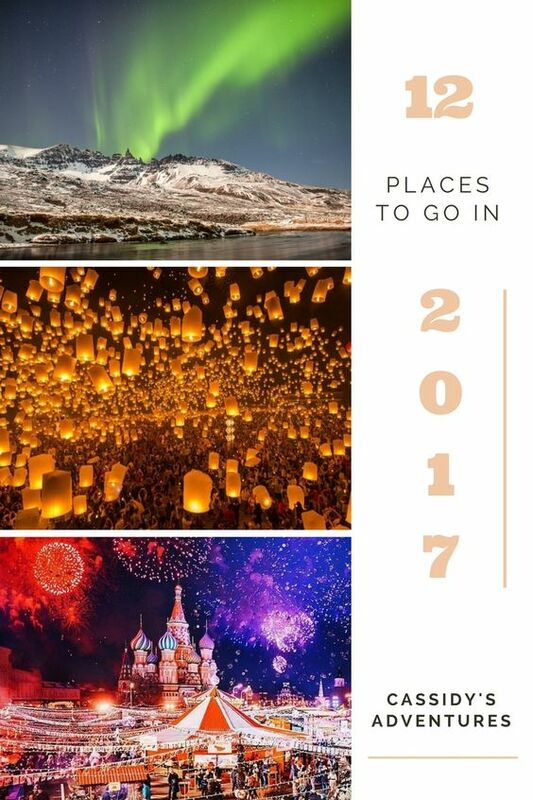 And plenty of great information on the places you visited. The Rocca Maggiore looks pretty amazing; how long did it take to hike there? Anyways, really nice post. Assisi is pretty small! Yet very beautiful. The hike to Rocca Maggiore wasn't bad. Maybe thirty minutes. Any longer and I would have needed better shoes, for sure. 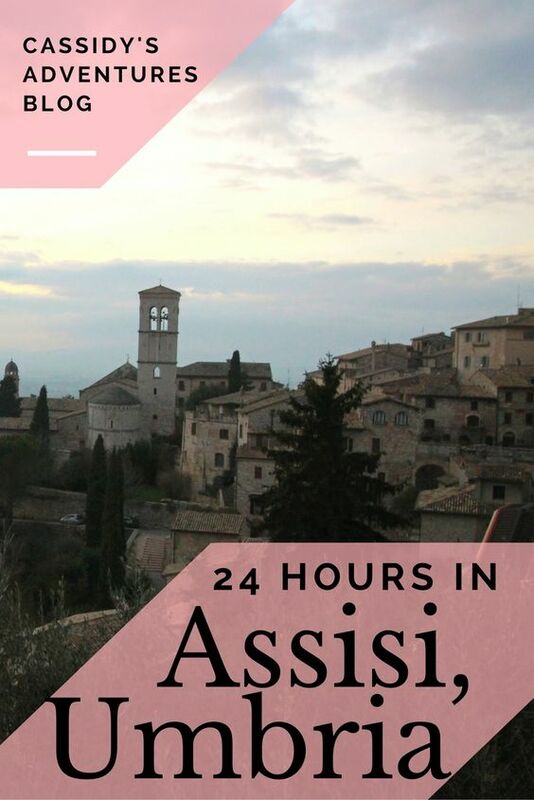 I didn't get to Assissi on my last trip to Italy, but I here its an interesting place and I've read about the history of the founder.